Fencing company servicing Como, Western Australia. Team Work Fencing offers professional fencing services that are reliable, cost-effective and competent. TWF have the resources and years of expertise needed for your fence requirements. When you are looking to hire fence builders in Como WA, consider Team Work Fencing Contractors. We are a fence builder that can deliver high-quality workmanship at a reasonable cost – experienced fencing specialists that can get your job done first time right. 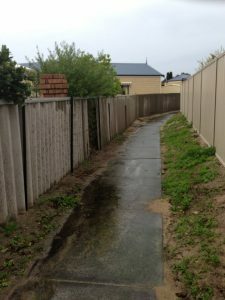 Team Work Fencing has been serving commercial and residential property owners throughout Perth and Western Australia since 2008. Capable of handling both large-scale and small-scale projects, our fencing contractors are experts at installing custom fencing products. This includes HardieFence™, COLORBOND® fences, pool fencing, rural property fencing, brush fencing, PVC fencing, chainlink fencing and much more. Our fence builders in Como WA also handle fence removals, fencing repairs and ongoing fence maintenance, and if you need custom features added on new installations, we can accommodate you with gates, cladding, security toppings and a variety of other extras. As a bonus, all work performed by Team Work Fencing is done using recyclable local materials while adhering to environmentally friendly practices. Have a fencing project in Como that you need handled quickly and professionally without breaking the bank? Contact us here and let’s discuss it. We’ll even visit your property and provide a free, no-obligation quote. Alternatively, browse our website to learn more about our company and service offerings.